Queen Beatrix of the Netherlands has made a farewell national address thanking the Dutch people one day before her abdication and investiture of her son, Prince Willem-Alexander. The queen thanked the Dutch people for their “heart-warming displays of affection” and also paid tribute to her late husband, Prince Claus. 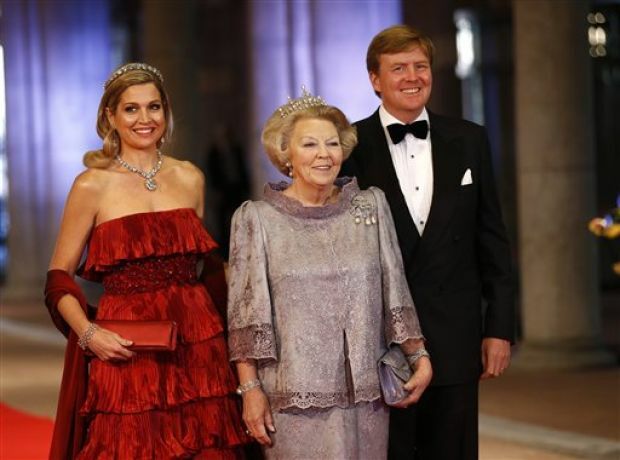 Queen Beatrix was also attending a sumptuous gala dinner in her honor at the Rijksmuseum in Amsterdam. She has been head of state since 1980, when her mother, Queen Juliana, abdicated. In her televised address, Queen Beatrix said that the people’s devotion had given her the strength to carry on. Paying tribute to her late husband, Prince Claus, who died in 2002, the queen said he had helped modernize the House of Orange. Monday evening’s gala dinner was being attended by her family and other invited royals and high-ranking dignitaries. Earlier on Monday, Crown-Prince Willem-Alexander, 46, his future queen Maxima, 41, and their three children took part in a final dress rehearsal for his investiture at Amsterdam’s Nieuwe Kerk. Willem-Alexander will become the Netherlands’ first king since Willem III, who died in 1890. Queen Beatrix is the sixth monarch from the House of Orange-Nassau, which has ruled the Netherlands since the early 19th Century. Correspondents say she is extremely popular with most Dutch people, but her abdication was widely expected and will not provoke a constitutional crisis. Under Dutch law, the monarch has few powers and the role is considered ceremonial. Queen Beatrix’s mother Juliana resigned the throne in 1980 on her 71st birthday, and her grandmother Wilhelmina abdicated in 1948 at the age of 68. She has remained active in recent years, but her reign has also seen traumatic events. In 2009 a would-be attacker killed eight people when he drove his car into crowds watching the queen and other members of the royal family in a national holiday parade. In February last year her second son, Prince Friso, was struck by an avalanche in Austria and remains in a coma.